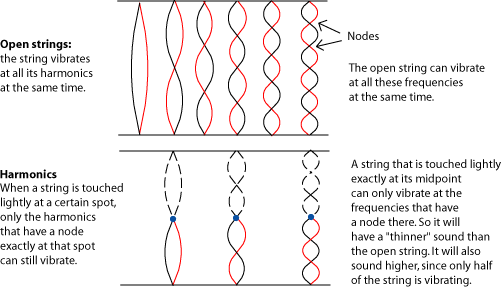 A suspended chord, or “sus chord”, is a chord in which the third has been displaced by either of its dissonant neighbouring notes, forming intervals of a major second or (more commonly), a perfect fourth with the root. This results in two distinct chord types: the suspended second (sus2) and the suspended fourth (sus4). 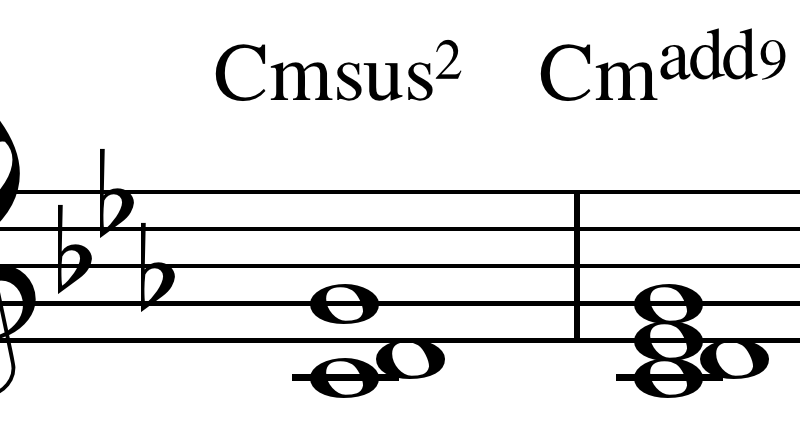 The chords, Csus2 and Csus4 consist of the notes C D G and C F G, respectively. 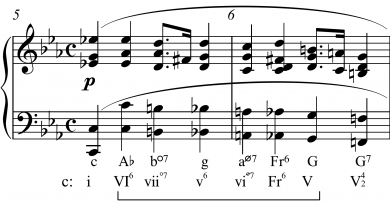 Extended versions are also possible, such as the seventh suspended fourth, for example, which, with root C, contains the notes C F G Bb and is notated as C7 sus4. In modern usage, without regard to such considerations of voice leading, the term suspended is restricted to those chords involving the displacement of the third only, and the dissonant second or fourth no longer needs to be prepared from the previous chord. Neither is it now obligatory for the displaced note to make an appearance at all; but in the majority of occurrences of suspended chords, the conventional stepwise resolution to the third is still observed. In traditional music theory, the inclusion of the third in either the suspended second or suspended fourth chords negates the effect of suspension, and such chords are properly called added ninth and added eleventh chords rather than suspended chords. A notable exception to this analysis of suspended chords occurs in jazz theory. In post-bop and modal jazz compositions and improvisations, suspended seventh chords are often used in nontraditional ways. In these contexts, they often do not function as V chords, and do not resolve the fourth to the third; the lack of resolution gives the chord an ambiguous, static quality. Indeed, the third is often played on top of a sus4 chord; in jazz theory, this doesn’t negate the quality of the chord as a suspended chord. Borrowed chords are chords borrowed from the parallel minor or major. If the root of the borrowed chord is not in the original key, then they are named by the accidental. For instance, in major, a chord built on the parallel minor’s sixth degree is a “flat six chord”, written bVI. Borrowed chords are an example of mode mixture. 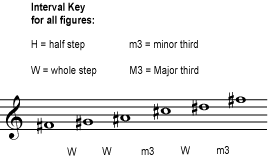 If a chord is borrowed from the parallel key, this is usually indicated directly (e.g. IV (minor)) or explained in a foot note or accompanying text.